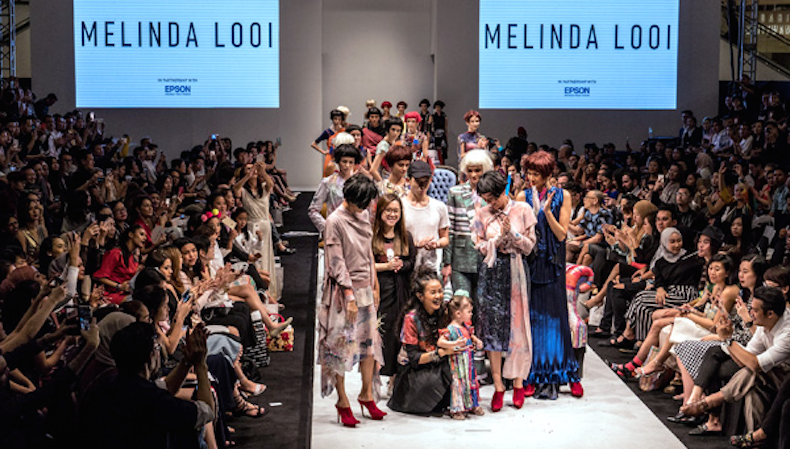 One of the most influential fashion designers in Malaysia, Melinda Looi, and Epson have come together on the runway of the Kuala Lumpur Fashion Week to showcase an innovative collaboration. Drawing inspiration from the decorative elements and components of interior space, 'The Interiors' collection looks at the curation of space with an eclectic mix of textures, patterns and colours. What makes this collection even more special is the use of Epson’s digital textile printing for the 20 creations in Melinda Looi’s 2018 collection that was first showcased at the KLFW 2017. Not a stranger to using technology for her creations, Melinda Looi has been called a tech-savvy fashion brand out of Asia. Therefore, it’s only natural that she wants to continue to add personal touches such as her paintings into her collection, which is why Epson came as a viable partner for her 2018 ready to wear collection. Designed to produce high quality colour artwork that can be transferred onto textiles, Epson SureColor F-series digital textile dye sublimation printer was used by Melinda and her creative team, to try out new, different designs, colours and effects on textile. It gave her a wide range of flexibility and speed in trying out new print ideas, without the exorbitant cost and time consuming mould or frame-making that is required for conventional textile printing. "Digital printing shortens turnaround time and enables printing in small volumes for customised prints, compared to traditional printing techniques, which require high volumes and long lead times." "As a result, digital printing helps designers such as Melinda Looi achieve their artistic vision by translating their ideas to a range of fabrics quickly, easily and at the highest quality," Lee concluded. To find out more about Epson's digital textile printing, make sure you attend FESPA Mexico 2017. The exhibition, that is taking place from 21-23 September at the Citibanamex Centre in Mexico City, will play host to many major brands from across the national and global markets. Epson is just one of over 150 industry firms that will be in attendance at the show, with visitors able to find the company at booth D20, alongside the likes of HP, Celupal, Caldera, Grupo Lozano, Multicam or Mutoh. Delegates can get FREE entry by registering via the website and quoting reference code: MEXH718. Discover how a visit to FESPA Mexico can benefit your business and register today.